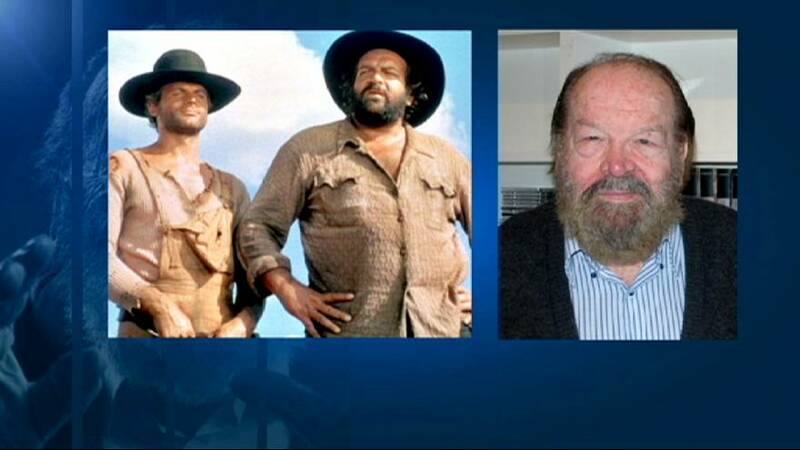 The Italian actor and film maker Bud Spencer has died at the age of 86 in Rome. Starring in a series of comedies and spaghetti westerns in the 1960 and 70s, Spencer became a household name. Born Carlo Pedersoli in 1929 in Naples, Spencer was a professional swimmer in his youth and became the first Italian to swim 100 metres freestyle in less than a minute. With a toned physique he played a member of the Praetorian Guard in Quo Vadis, a Hollywood epic shot in Italy in 1951, but later said he had had no interest in becoming an actor. Then, when a production company asked him to change his name to something more marketable, Pedersoli put his love of Budweiser beer and the Hollywood actor Spencer Tracey together and became Bud Spencer. It wasn’t until the late 1960s that his acting career took off when he teamed up with Terence Hill in over 20 films, beginning with God Forgives..I don’t! The duo went on to make international hits such as Ace High in 1968 and They Call Me Trinity in 1970. Later he became a pilot of both jet planes and helicopters and tried – unsuccessfully – to enter politics. Former Italian Prime Minister Silvio Berlusconi encouraged him to stand as a regional councillor in Lazio for his Forza Italia party but he failed to get elected. He had three children and was married for 56 years.